According to the Centers for Disease Control and Prevention, 48 million people get sick, 128,000 are hospitalized, and 3,000 die every year from foodborne illness. Some of the culprits are disease-causing microbes or pathogens, such as the norovirus, Listeria, Salmonella, and E. coli. Poisonous chemicals and other substances are also guilty of causing these foodborne diseases which number more than 250 foodborne diseases. Food is far too easy to become contaminated as it is produced and processed. Most healthy meat and poultry can even become contaminated during slaughter by contact with intestinal contents. When we irrigate most fresh fruits and vegetables with contaminated water, these fruits and vegetables will also become contaminated. Salmonella enterica bacterium, is a bacteria which causes a type of food poisoning called Salmonellosis and most normal looking hen eggs can be contaminated with Salmonella even before the shell is formed. Shigella bacteria, hepatitis A, and norovirus can be introduced by the dirty or improperly washed hands of infected food handlers into foods. You can see how there are many ways for food to become contaminated during food processing. Although the cost to human wellness and life is the greatest, foodborne illness has very serious financial implications as well. In 2014 the United States Department of Agriculture estimated these illnesses are annually costing the economy more than $15.6 billion. The number is shocking on its own, but even more so when you consider this public health burden is largely preventable. In terms of prevention, food processing organizations must make hygiene, sanitation and cleanliness procedures their top priorities. Harmony offers high-quality food safety and environmental surface sampling devices which are very useful and important to food handlers who collect and test food for bacterial pathogens. Let’s look at these food safety testing swabs, and see which ones are best for their various applications. In all meat processing plants, regular quality and hygiene control is always very critical. Where pathogen testing is concerned in this industry, speed is second only to accuracy. Companies want to get their products out the door quickly and they need to be confident the meat does not contain parasites or bacteria like Salmonella, Listeria, and E. coli. For rapid and effective safety testing, we recommend a firm foam-tipped swab like those in Puritan® EnviroMax Plus® Sterile Environmental Sampling Swabs. The benefits of foam-tipped swabs are their large tip, which increases sample and elution counts, and their rigid paddle-like design which allows for the firm and even application of pressure necessary for adequate sample collection. As for ease of use, simply remove the Puritan® EnviroMax Plus® swab from the vial, collect the sample, and return the swab to the vial. Sampling is that easy and secure. For a step-by-step guide on how to test meat with our EnviroMax swabs, read this instructional blog post from Puritan®. Poultry farms are often distressed by the popular avian influenza (AI) virus and one simple way to check the health of your birds is with blood tests and polymerase chain reaction (PCR) testing. According to the U.S. Animal and Plant Health Inspection Service, testing reduces the risk of spreading AI. The PCR test is perhaps the least invasive: just take hold of a bird, open its mouth, and swab the throat. That’s right! So which of the food handler swabs are the best fit for this task? Puritan®’s PurFlock Ultra® swabs with a miniature or ultrafine tip are ideal for taking samples of the trachea or oropharynx and cloaca. Routine monitoring of your flock for the presence of other respiratory and infectious diseases is very important. The PurFlock Ultra® flocked swab makes the random sampling process for such tests easier for the staff, less injurious to the birds, and more efficient for processing. That’s what makes it unique. As more and more small-scale breweries ramp up their production, sanitation procedures must follow suit. During the grain malting process, cereal grains are eventually converted to sugars, which are gradually consumed by yeast as the beer ferments. Bacteria thrives in this high-sugar environment. Here it can multiply, potentially ruining a batch, or worse, contributing to the contamination of an entire facility. Puritan®’s ESK® environmental sampling kits can provide an appropriate food safety testing solution for smaller-scale and microbreweries. Companies can validate the food safety procedures at the brewery by swabbing for bacterial growth in areas through which the beer passes. Morebeer.com recommends “swabbing all areas which should be clean and sterile, including: cleaned-in-place fermenter hose ends, exit ports from hard piping, the plate cooler, or the filter.” You may also want to swab keg interiors and filling heads. Puritan®’s EnviroMax® and EnviroMax Plus® swabs can get into hard to reach areas where contaminants may be hidden. And the small polyester tip and quick-turn, leak resistant cap make for a proper environmental transport medium. So as you can see, different food safety environments call for different testing materials. 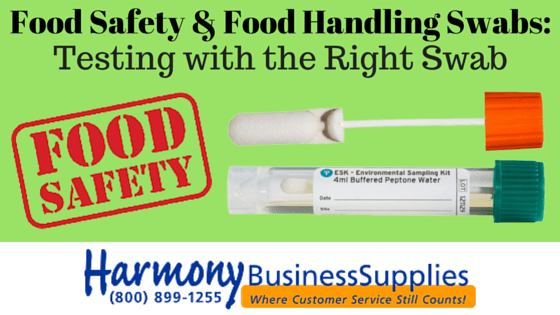 To learn more about using Harmony Business Supplies as your source for food handler and safety testing swabs, contact one of our knowledgeable product specialists at Harmony today. Foodborne illnesses have been receiving more media coverage recently. This has led to greater public awareness and we all need to increase food safety training levels for employees working in the food industry. This is essential for food safety and public health. It is not only a requirement to meet food safety regulations but also a responsibility towards end clients as well as the general safety of people. Ensuring no hair in food: Because it is important to acknowledge that hair in food is one of the most common errors in the food industry. While it is a human mistake, it is a potential source of microbiological and physical contamination. Wearing hairnets, beard covers and long sleeved smocks are essential. Ensuring minimal contamination as possible: It is not easy to completely eradicate contamination. This is because of microbes in the air that cannot be humanly prevented from entering food. 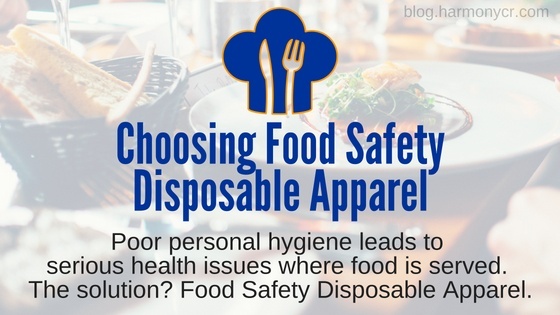 However, employees can take key steps by wearing clean uniforms or disposable apparel. Keeping processing areas and utensils sanitized and not wearing jewelry that may fall into food. Keeping the food area disease free: Employees with flu or a cold should stay home. Coming to work sick can expose others at work and may contaminate food, leading to potentially much bigger issues. Finger nails must always be clean and cut, personal hygiene maintained, and any illness reported. 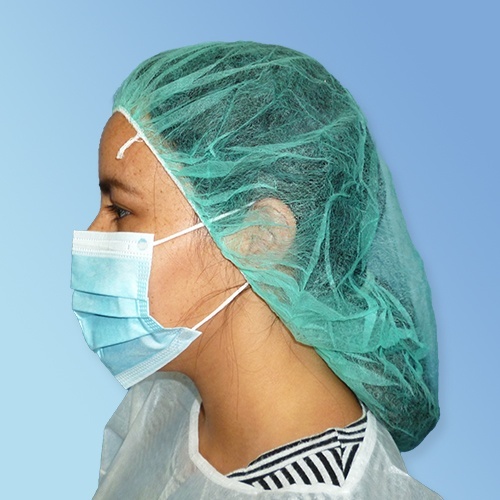 It is essential to equip employees with the correct personal protection products including food handling gloves, hair nets, beard guards (beard nets/covers) and face masks. Employers in the food industry must ideally provide a thoughtful and comprehensive training program. Employees may not share the same native tongue as the employer. Translate instructions, practices, processes, and procedures to a language employees understand best. 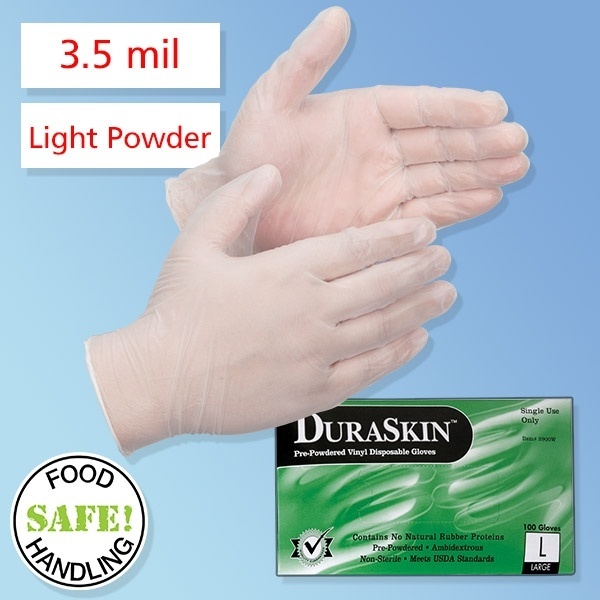 Explain the importance and benefits when you use disposable gloves during food handling. Just like salary negotiations happen prior to employment, it is important to communicate proper and preferred hygiene practices at the same time. It is essential to be clear and precise. 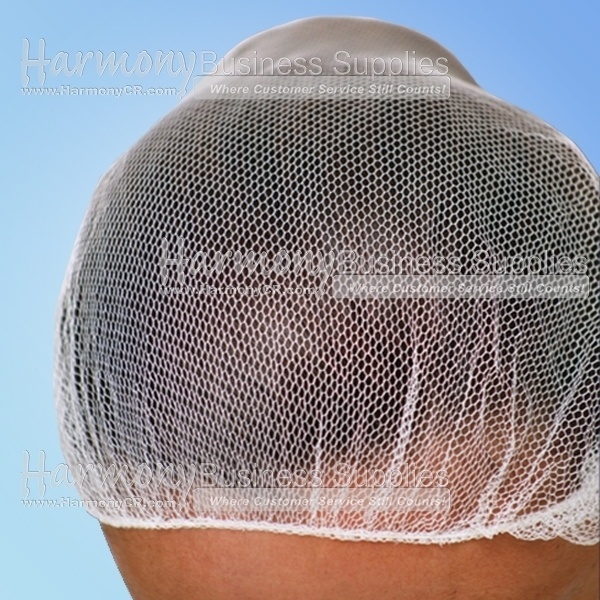 Wearing their hairnets and beard covers must be fully explained to the potential employee. A reaffirmation of the proper hygiene practices is essential with periodic training programs as well as innovative approaches such as displays of signs with pictures of good practices. Again, language plays a major role and context. Cater to the employee’s known language. Lastly, use safe steps in food handling, cooking, and storage to prevent food-borne illness. You can’t see, smell, or taste harmful bacteria that may cause illness. 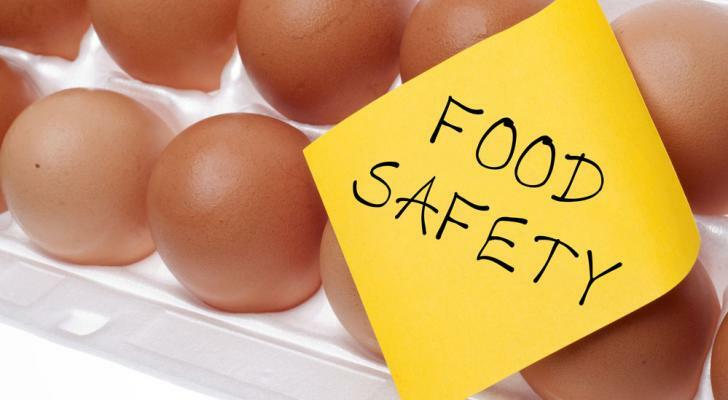 Keep food safety in mind for your employees, yourself, the consumer, and the general public.